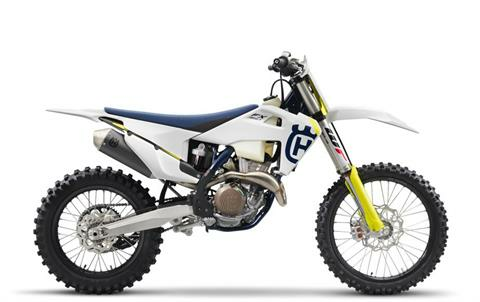 With a better power-to-weight ratio than most 450's, the new-generation FX 350 has a lighter, more agile feel, making it a hard-to-beat motorcycle for closed-course offroad use. Its advanced electronics system, featuring switchable engine maps and traction control, allows the user to easily change the engine's characteristics on the fly. With its high-performance lightweight engine and cutting-edge WP suspension, the FX 350 gives the rider superb handling with smooth tractable power to blaze through the most challenging terrain.